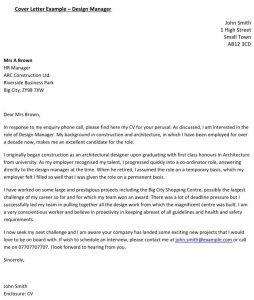 If you are looking for a job in design management then you will need a comprehensive cover letter. Check out our sample Design Manager application letter. In response to my enquiry phone call, please find here my CV for your perusal. As discussed, I am interested in the role of Design Manager. My background in construction and architecture, in which I have been employed for over a decade now, makes me an excellent candidate for the role. I originally began construction as an architectural designer upon graduating with first class honours in Architecture from university. As my employer recognised my talent, I progressed quickly into a co-ordinator role, answering directly to the design manager at the time. When he retired, I assumed the role on a temporary basis, which my employer felt I filled so well that I was given the role on a permanent basis. 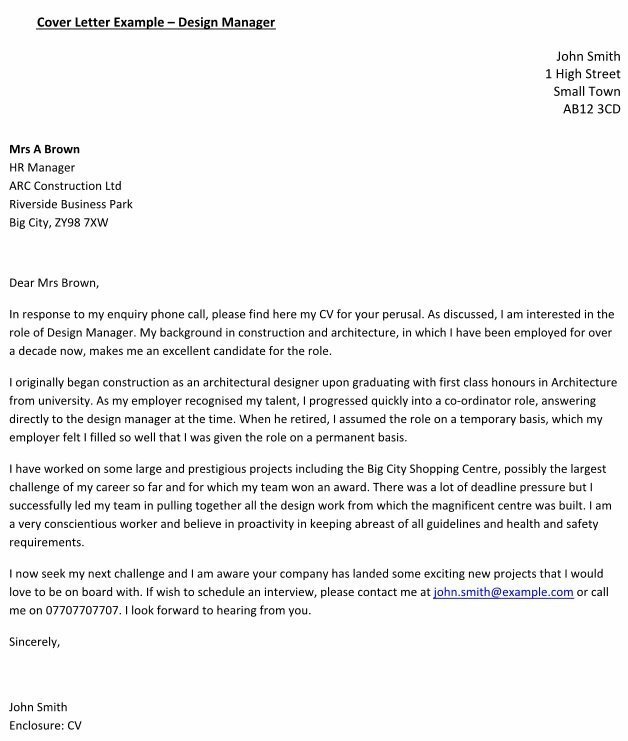 I have worked on some large and prestigious projects including the Big City Shopping Centre, possibly the largest challenge of my career so far and for which my team won an award. There was a lot of deadline pressure but I successfully led my team in pulling together all the design work from which the magnificent centre was built. I am a very conscientious worker and believe in proactivity in keeping abreast of all guidelines and health and safety requirements. I now seek my next challenge and I am aware your company has landed some exciting new projects that I would love to be on board with. If wish to schedule an interview, please contact me at john.smith@example.com or call me on 07707707707. I look forward to hearing from you.